When a passenger car crashes into the side of an eighteen wheeler and goes underneath, most of the car’s safety features are useless. The top of the car can even be sheared. Over the years, I’ve investigated cases where an underride crash occurred. The scene is terrible. The photographs are terrible. These crashes can cause horrible trauma to car passengers. Crashes between passenger cars and commercial trucks are an important safety concern on our highways. In cities and neighborhoods, another serious safety issue exists. This issue involves bicyclists and pedestrians impacting the side of a commercial truck. According to research sponsored by the U.S. Department of Transportation, half of bicyclists and more than a quarter of pedestrians killed by a large truck first impact the side of the truck. In many of these situations, the cyclist or passenger then goes underneath the truck. Do truck safety guards help prevent needless injury and death? Yes, they do. 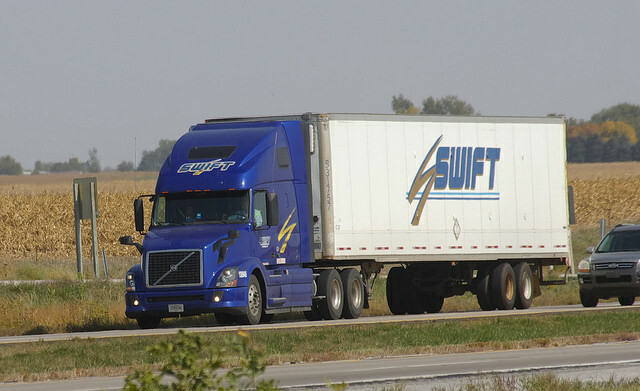 Federal regulations have required large commercial trucks to be equipped with rear underride guards since 1998. Rear guards have saved many lives. However, rear guard standards have not been tested or updated in years. We need to update our standards for rear guards in light of modern vehicle developments. As for side guards, they have been required safety devices on commercial vehicles in Europe for years. Studies in Europe have shown a marked decrease in fatal accidents with their use. Again, the U.S. Department of Transportation has some research showing the safety improvement side guards would provide. In the United Kingdom, bicycle fatalities involving crashes with large trucks dropped over 60% after side guards became mandatory. If side underride guards save lives, why don’t we require them in the United States? Why not? The answer is simple — trucking lobbyists and trucking money! For years, safety advocates have pressed for side guards on large trucks. Yet, for years, the trucking industry has worked to prevent this safety regulation. While the Federal government has failed to act, some major U.S. cities have taken steps. Boston has enacted an ordinance mandating its agencies only contract with trucking companies that install side guards on their fleet. Late last year, U.S. 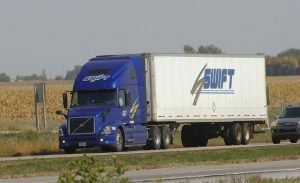 Senators Rubio and Gillibrand submitted a bipartisan bill to require the implementation of side guards on commercial trucks. The legislative proposal is titled the Stop Underrides Act. You can read more in a prior blog post I wrote shortly after its introduction. Has Congress enacted the proposed legislation? No, it has not. I recently checked the status of the bill to discover that it was promptly referred to a committee where it continues to languish almost a year later. It’s disappointing that our elected officials cannot promptly address an important issue like highway safety. Alabama drivers deserve the safety protections side truck guards would provide on our roads and highways. At the Blackwell Law Firm, we represent injured clients across Alabama. We have helped many clients following a large commercial truck accident. These cases present complex issues and challenges. If you have questions about a truck crash or other Alabama personal injury, give us a call. We are happy to discuss your issues.